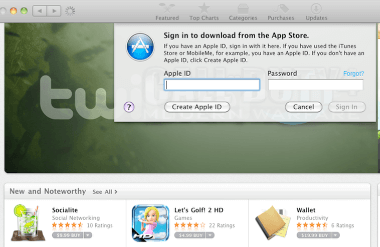 Last summer a Google security researcher announced he had found serious flaws in the Apple App Store. The company was serving up data over an unencrypted HTTP connection, leaving its customers open to attacks from anyone using the same public network. Six months later, the company finally flipped on the encryption. Elie Bursztein announced yesterday that “I am really happy that my spare-time work pushed Apple to finally enable HTTPS to protect users”. The lack of HTTPS left iOS customers open to password stealing, app swapping — the ability for an attacker to force a customer to install/buy the attacker’s app of choice instead of the one the user intended to install/buy, fake app upgrades and serious privacy leaks. Bursztein made these attack scenarios public in an effort to force Apple, and other mobile companies, to fix the problems. He has been waiting since July 2012 for the Cupertino company to act on its flaws and now the wait is finally over. Every year, we get new hype of electronics that are suppose to rock their niche. This year, we saw tablets galore. At CES 2011, I personally saw around 8 tablets that disappeared quicker than a fake Apple store in China. But those tablets that stayed to try and take the market had to deal with the 500 lb gorilla in iPad2. Some did ok, while others failed miserably. That is what were going to look at today. Knowing that Cisco didn’t want to deal with the consumer market, they decided to go for the business professional. Why not? It worked for Blackberry all these years. Only problem, it still couldn’t cut it. 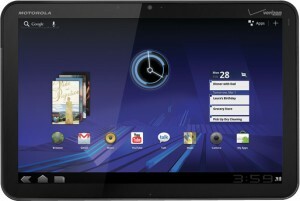 Cisco Cius is an Android-based tablet that ran 720p, with Wifi, 4G and Bluetooth. 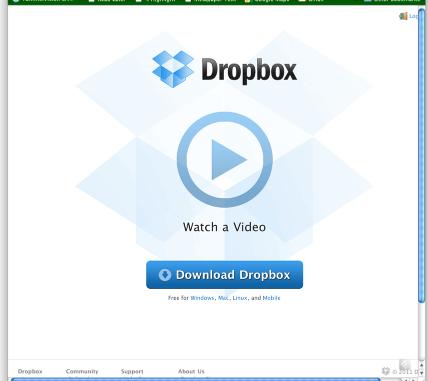 It contains Cisco AppHQ, which is Cisco’s business app store. 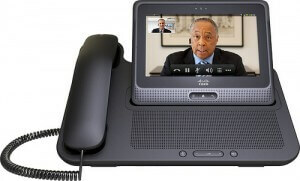 The seven-inch screen had an optional HD media station that could connect USB peripherals, Ethernet access and a handset, turning the Cius into a landline phone. There is still hope for the Cius, especially in the office that wants to buy $1000 phones. Maybe in 2-3 years, this device will become more utilized. There is no way to sugar coat this, so I am going to say it. HP shot themselves in the collective foot. The HP TouchPad started out just fine. Using HP’s acquired Palm software, the WebOS system had a companion phone in the Pre3. The big feature was the ability to transfer items from the Pre3 to the TouchPad by setting the phone on the tablet. 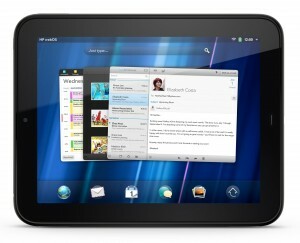 This tablet was prematurely killed when CEO Leo Apotheker stopped production of WebOS devices in October. It also brought us the first viable $99 tablet, as stores were liquidating. WebOS has been since deemed Open Source. Maybe the TouchPad will make a resurgence as a collectors item. ITM – HP will most likely come out with a Windows 7 tablet in the future. RIM has been hurting as of late. Once a staple in business, they seemed to lose a lot of momentum to Apple lately. To really get into the tablet market, they decided to put out the PlayBook, which in all reality, was a pretty impressive tablet. The Xoomtablet was hit hard on specs vs. iPad2. The Xoom’s 10.1 inch display was deemed “Low end”. Resolution is not the only thing about a display. color depth, brightness and contrast are also big factors. Still, this tablet, which now can be upgraded to Android 4.0 (Ice Cream Sandwich) could make a comeback with Xoom2 and a better display. It also has Bluetooth, micro USB and GPS. Overall, all four of these tablets are still in production. 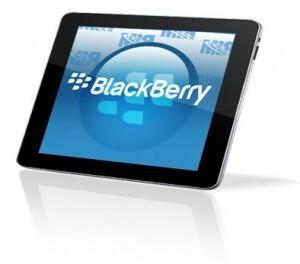 They have some great features and – if a little work goes into them – they could shake up the tablet market in 2012. HP TouchPad would be the only exception. With the Kindle Fire and Color Nook out in the tablet market, as well as some low-cost tablets ( like the $99 MIPS Novo7 tablet that came out), 2012 might have some viable alternatives in the tablet market. Next Tuesday, November 15th, Amazon will release the much-anticipated Kindle Fire. The 7″ Android tablet has been rumored to be receiving a huge number of pre-orders – 250,000 in the first 5 days if the news reports are correct. 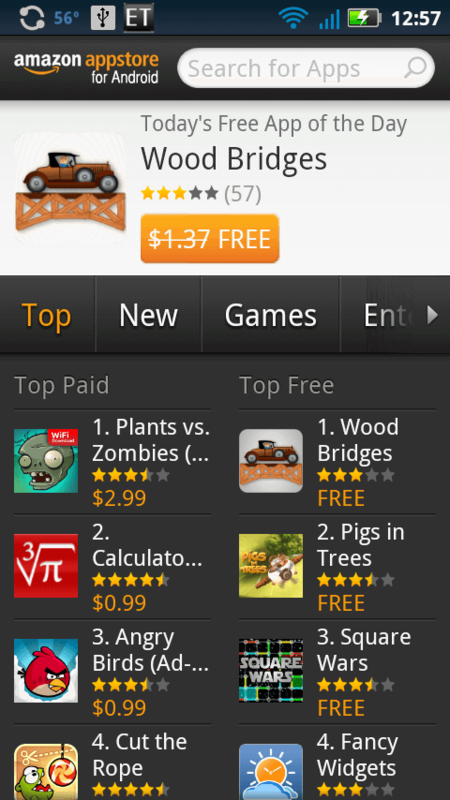 Now, with the release only 5 days away, Amazon has bumped their App Store to version 2.0. 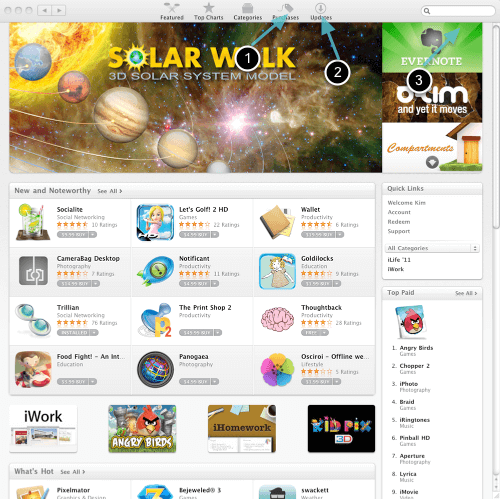 The new look of the App Store is designed to make it more tablet-compatible. In fact, the user interface looks very Kindle Fire-like with the new UI being a mix of greys and black, instead of the previous mostly white background. Amazon has also introduced better control with the addition of Parental Controls, plus they have enabled in-app purchases. You can get instructions for adding or updating the Amazon App Store on your mobile device by visiting this Amazon page. Check out the screenshots of the new App Store posted below. 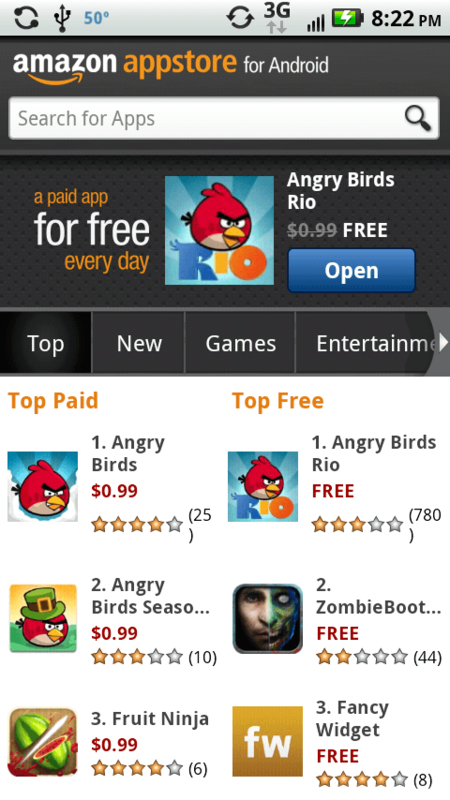 The Amazon App Store for Android was released today and it brought along Angry Birds Rio for the ride. 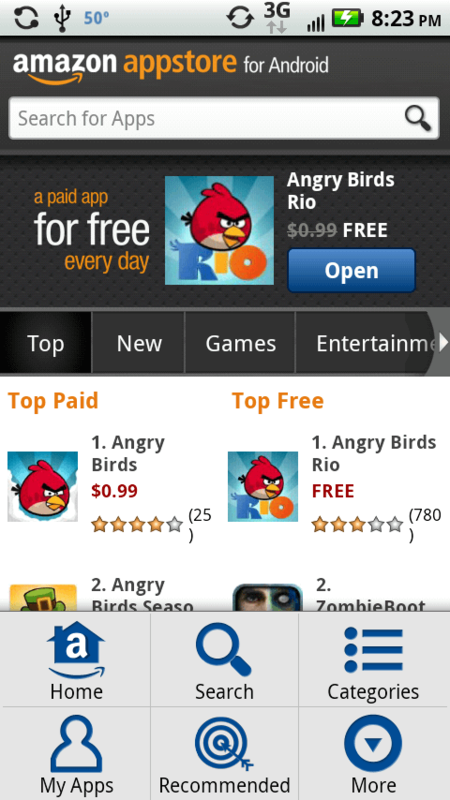 Even better, Angry Birds Rio is free for a “limited time”. We haven’t yet heard what that limited time is. 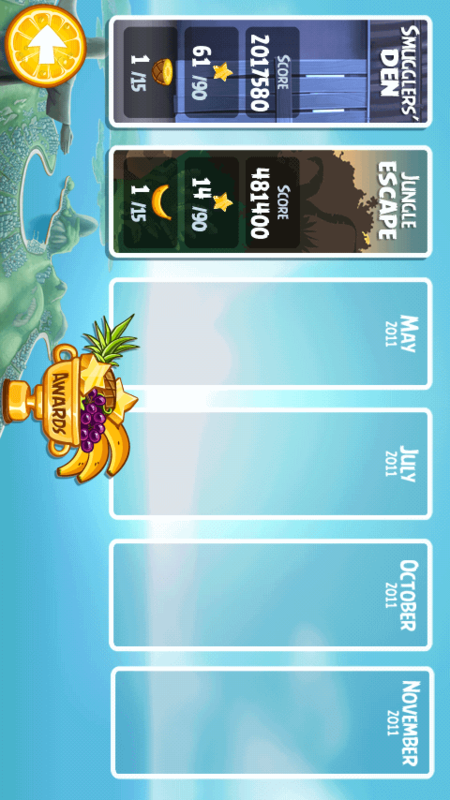 The app store can be downloaded from here. It’s a pretty fast download and install, but before you get started you will need to navigate your Android phone to Settings => Applications and enable “Unknown Sources”. The app store looks similar to the native Android Marketplace and carries a lot of free apps, in addition to the paid ones. You can browse by a variety of categories such as Top, New, Games, Entertainment, News & Weather, Social Networking, Etc. The store contains all three versions of Angry Birds (including Rio which is exclusive). 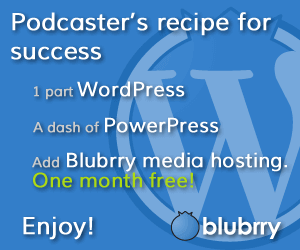 Other apps such as Fruit Ninjas, Audible, CraigsList, and IMDb are also included. The menu button, again like the Marketplace, allows you to check you apps, Search, view Reommended, and several other options. You can take a quick tour of the screenshots posted below. This past Friday we got some information on the new Amazon App Store, which will, supposedly, be launching on Tuesday March 22nd. The store will be available on the Amazon website and also as a mobile app. Mostly what we know are still rumors. Amazon will take the same 30 percent as other app stores like iTunes, Google, and Microsoft. A restriction on developers that would prevent them from linking to other apps through any other portal than Amazon’s store. There is one thing we know for sure – it will include the new Angry Birds Rio, which will be exclusive to Amazon only. It’s the first, and only, challenger to the Android Market. Challenging Google is a tall order, but Amazon is probably one of the few internet entities that has a chance of pulling it off. 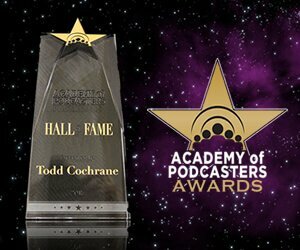 They are, hands down, the leader in the eBook market, a major challenger to iTunes in the MP3 market, and the clear leader in internet shopping. It looks as if all of the questions will be answered very soon. Providing March 22nd is, in fact, the actual release date, then we will know what is included, but it will take a while to find out if it can challenge Google. 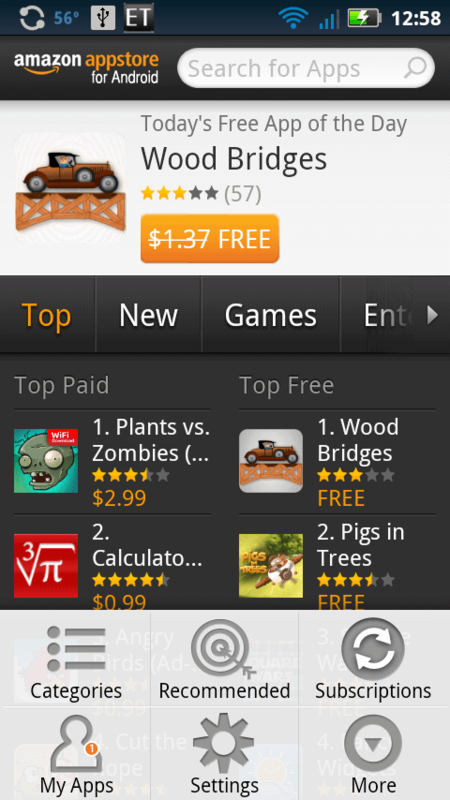 I will assume the Amazon App Store will be available for download from the Amazon mobile website. Downloading it from the Android Market seems to be too much of an irony. 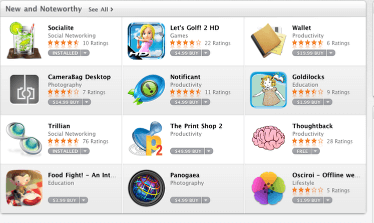 Its been about a week since the App store has come to the Mac. There are somethings that we have already learned about it, both good and bad. 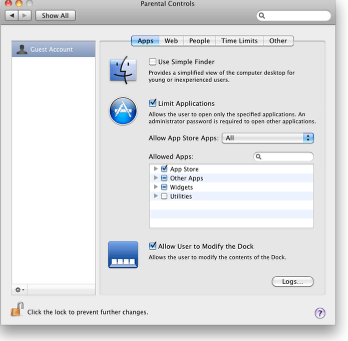 First it is available only for Snow Leopard and comes as part of the latest update 10.6.6. If you are on Leopard or a Power PC it is not available. After you finish the update the app store icon will appear in your dock. Any application that you download from the store will also appear in the dock. If you want to remove it from the dock simply drag it too the desktop. When you open up the App Store across the top are starting at the left the navigation buttons, featured applications, top chart, categories, purchases, updates and finally the search area. If you have used the Itunes store then you are familiar with the idea of featured applications, top chart and categories and the search area. When you click on the purchase button (1) any application you have purchased from the store will appear there. When you need to update an application if you keep the icon in the dock you will see a small number on the icon, telling you how many updates there are. If you are in the app store you will see the same indicator next to the update icon(2). You can search for a app through the search box(3). 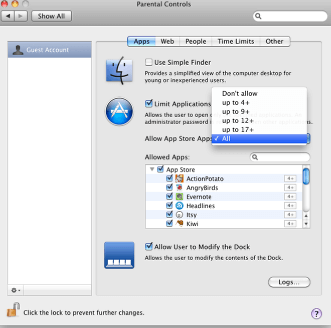 To prevent your kid from downloading in appropriate applications you may need to set up parental controls Go into System Preferences then Login and then the account you want to limit click on Parental control. Once you click on parental controls, then click on limited application, then click on app store and under Allow App Store Apps choose the appropriate rating from access to all to access to none. There are a lot of good things to say about the application store, however it is not without its faults. First it is Snow Leopard only so if you are on Leopard or before you are out of luck. Second it comes as part of an update so you have no choice you get it whether you want it or not. If you purchase or have purchased an application outside the App Store it will not show as a purchased item within the store, so check before you buy. When you buy an application in the App Store it is a final application there is no trial mode. If you see an application you think you might like, I recommend going to the application Web site and see if they have a trial period. You can go to the Web site through the App store by clicking on the name of the applications. That will bring up a full page of the application which includes further information, reviews, ratings and on the left hand side the links(1) to the application web page. If you do download a trial mode from the web page and then decide to buy the full application, I recommend doing that from the App store, so it shows up in your purchases. Any application that requires access or can make changes to your Mac such as Dropbox or Superduper will not appear in the App store. 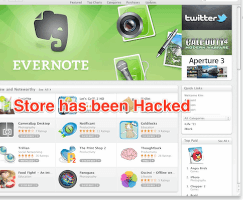 Finally the app store was hacked within a few days, allowing paid applications to be downloaded for free using bogus receipts. This the fault of both the developers and Apple, but it will probably be patched fairly quickly. Also applications that fun under the GPL license such as VLC will not be allowed in the App store. I am reserving judgment on whether I think the App store is a good thing or not. I do believe it will help non-tech consumers find the application they are looking for more easily. Developers who are in the App store will sell more applications. 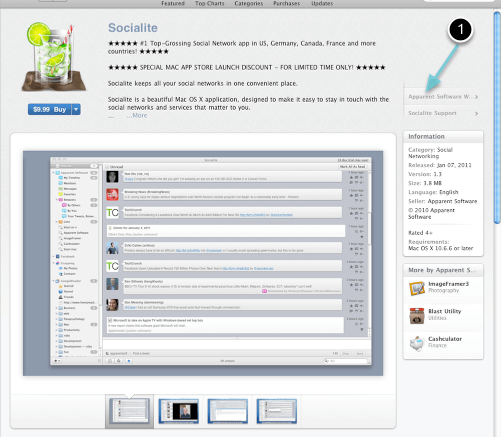 However there is the chance that people will begin to think that the App store is the only place to get an application. Those apps developer who choose not to be a part of the store for what ever reason will loose potential customers. It is important that there are multiple avenues to purchase and download an applications and that people are aware of them, so they always have an option.